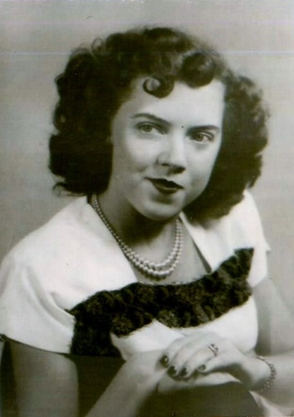 Obituary for Catherine "Imogene" (Albrittain) McCarthy | Arehart-Echols Funeral Home, P.A. Catherine Imogene McCarthy (92) passed away peacefully at home on February 11, 2019. Born on August 20, 1926 to the late parents James Washington and Mary Ellen (Miles) Albrittain in Glymont, Maryland. Imogene grew up in La Plata and graduated from Sacred Heart School (1944), attended Strayer Business College, and worked as an administrative clerk at the Charles County courthouse, a bookkeeper for La Plata Mill and Supply, a secretary for the US Army overseas, and later as a bookkeeper for Ely’s Furniture Store. She married Francis Delbert McCarthy and had five children; was a lifelong resident of La Plata, except for living in Okinawa, Fort Meade, Maryland, and West Germany while her husband was stationed there during his military career. She was a lovely and sweet person her whole life. In addition to her parents and husband, she was preceded in death by her brothers, James, John, Lemuel, George Edward, and Thomas; sister Mary Lucille Warner; and daughter, Debra Jean McCarthy. She is survived by her brother, William M. Albrittain and sister-in-law Mary K. of Faulkner, MD; and sister Julia E. White of La Plata, MD; daughter, Mary B. Oliver of Mocksville, N.C.; daughter, Sharon A. McCarthy of La Plata; son, John F. McCarthy of Indian Head; son Patrick J. McCarthy and wife Johnna of Mocksville, N.C.; and granddaughter Breanna McCarthy. Funeral mass will be held on Saturday, March 2, 2019, at 11 a.m., at St. Ignatius Church, Port Tobacco, MD; followed by burial there. Arrangements are being made by Arehart/Echols Funeral Home, La Plata, Maryland. In lieu of flowers, donations may be made to charity of your choice.